The recent blog post which ended by saying that ‘reading groups should be a central and integral part of any strategy for future development in libraries’ is absolutely right. As the founder of The Reader, I was very glad to see our work highlighted in the blog. We believe literature is for everyone. Yet we also know there are obstacles. I once asked a man who had started attending one of our Shared Reading groups held in his hostel whether he would go to a library. There was a long silence before he replied, 'No, it's just not my lifestyle'. We all know that we need to work together to find new approaches to reach those communities who simply don’t think that libraries are for people like them. The Reader wants to continue to help change that perception - that’s why we are working with libraries, care homes, hospitals, community groups, schools and prisons to bring the pleasure and value of reading to as many people as possible. Shared Reading is not a book club: book clubs generally consist of those who already access library services, and of people who are willing and able to read books alone, in advance. 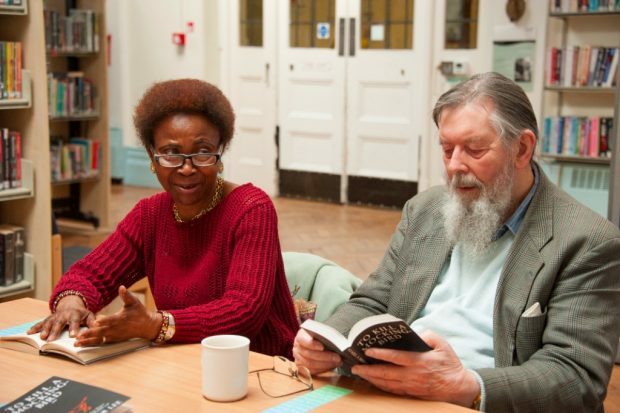 The Reader’s weekly groups have one simple advantage; the novels, stories and poems are read aloud, together, with pauses at regular intervals for the group to talk about what the words mean to them personally. We create welcoming environments in which people can feel more alive, emotionally, as a result of the stimulus literature offers. We call this Shared Reading. It is a live experience that makes literature accessible and inclusive irrespective of people’s background or literacy levels. After attending a group at her hostel for months, one woman excitedly told the group, 'I've joined me and the kids to the library - it’s free, you know'. This is what we love to hear. 1 in 5 older people in the community suffer depression, with mental ill health accounting for a quarter of the UK’s burden of illness, costing society £105 billion a year. Recent research tells us that using library services regularly will result in £27.5m savings annually to the NHS, which would become additional costs if libraries were not there. Those who read with us report far-reaching health benefits and our research bears this out. A social return on investment (SROI) report by Liverpool John Moores University, Centre for Public Health (2013), found that for every £1 invested in shared reading, an average of £6.47 was generated to users’ health and well-being. Ruth Pointer - Locality Manager at Leicestershire County Council - explains: “Shared reading is not just a library thing, it’s much more than that – it’s a way of supporting health and wellbeing. Participants say to me, “This is the highlight of my week”, it makes a huge difference to their lives and they get so much out of it, as do the volunteers who run the groups. It’s a brilliant model and is exactly what libraries should be about”. Collaboration is at the heart of our approach. 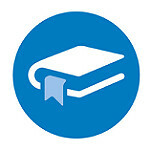 We have worked with 33 Local Authority Library Services – including Devon, Wiltshire, Somerset, Leicestershire, Merseyside and some in London, and we have partnered with 35 NHS Trusts, GPs, NHS staff and local organisations. To date, we have trained over 5,000 people to be ‘Reader Leaders’ – equipped to deliver shared reading in their own communities. It is this community-led approach on which we wish to build. We have recently joined forces with Bristol Library Services in order to help fulfill their ambitious vision for the city’s library provision. In Bristol, we are providing a training and support programme which will enable partner organisations and volunteers to adopt shared reading across the city. Flexible training, curated resources, peer to peer learning and ongoing support are all part of the programme to help ensure quality provision, delivered in partnership. Our vision is for Shared Reading to take root in every community in the UK, so wherever you are, whoever you are, it’s available. We understand that the library sector is facing huge challenges so we are evolving our model to provide more flexible and cost-effective training and support packages so partners can incorporate Shared Reading into their provision. We very much hope that more Library services and cross-sector partners will join this growing Shared Reading network. To keep up-to-date with The Reader, follow them on twitter.